Supplying professional bands to many weddings & big events, Foxy Music understands what is involved in ensuring the entertainment lives up to their clients hopes and expectations. With so many pressures involved in organising such an occasion, once the band is booked, you can rest easy in the knowledge your evening reception is in the hands of the professionals. 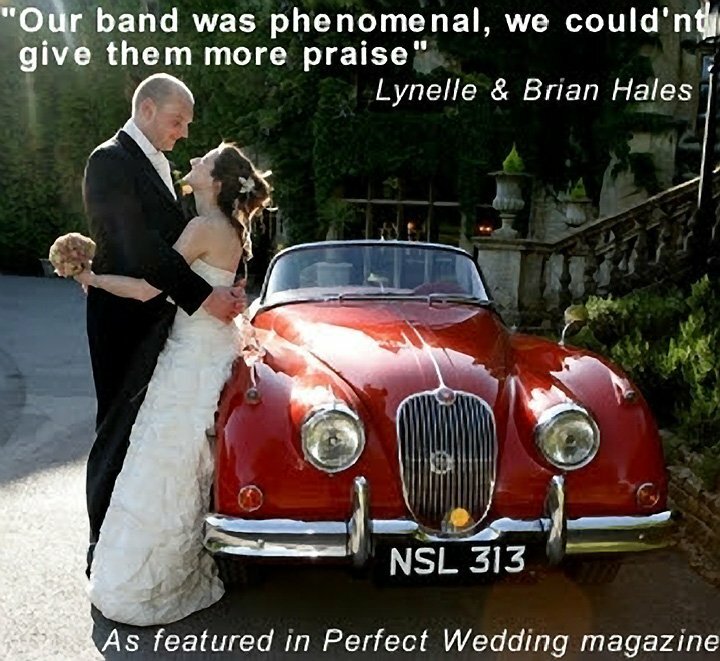 The UKs No 1 Wedding band to book! Consisting of some of the UK’s hottest session musicians, the band are available as a 5-piece or 3-piece, ensuring the appropriate size for every type of event. Performances are classic party hits interspersed with recent chart hits and with an impressive range of glamorous weddings, celeb filled parties, major sporting events and high profile corporate’s, the bands CV reads like a who’s who.